Does this mean drink more or drink less? I saw this sign in an airport bar in Manchester, NH. This just in from my colleague Kevin Conroy: Mac users give 2-3x as much per visit to GlobalGiving as do Windows users. I am writing this from the United Kingdom, which once ruled the seas and much of the world. This means that Tata will soon be producing the world's least expensive car, the $2,500 Nano, as well as two of the most expensive ones. This follows earlier news that Carlos Slim, a Mexican, is now the world's richest person, edging out Bill Gates and Warren Buffet. That was what an old lobster fisherman outside of Hampton, NH told Mari this past weekend. We were on our way to the beach with my family and saw a hand-lettered sign that read “Lobster” and pointed down a gravel road. My brother was visiting from Guatemala, and he really wanted some lobster, so I took a right and wound around the back of a house to a small clapboard building at the edge of an inlet. There were lobster traps and other fishing paraphernalia stacked in the yard. Above the door of the building was a sign that said it all: Defiant Lobster Co.
We went in and asked for lobster. The man told us that he did not have any. He said that it was the off-season for the NH lobsters, and that he usually bought lobsters from Maine during this time, but that the wholesale price was too high. I was stunned. First, that he would only charge a $1.50 markup. And second that he would simply refuse to sell something at a certain price. The economist in me was doing backflips. I spend a lot of time in Silicon Valley, where the talk is all about “scalability” and “margins” and “pricing power.” This lobsterman had pricing power over me – that’s for sure. I would have gladly paid $10.50 a pound or more, because I was in a hurry and really wanted that lobster. But the lobsterman was not a profit maximizer – he wanted to make a decent income, but he also had a sense of what I have come to call market “aesthetics.” He would not participate in transactions that he felt were not right in some way. Back in Hampton Beach, I thought about arguing with the lobsterman. But instead, I talked to him about the ups and downs of the lobster market over the decades - something I could never have done at the local profit-maximizing supermarket. And then I bought some really nice clams and oysters from him (at a price he considered fair), and I took them home. They were very good. The financial sector is in a semi-meltdown and much of the rest of the economy teeters on the edge of a recession. But don't tell that to the people at Apple. Today I went to the Apple Store in Bethesda to get a new battery for my old laptop. It was absolutely crammed with customers. Some were buying new iPhones or iPods. And others were like me - just getting something fixed. What struck me was the exceptional customer service. Even though I had to wait a while to get helped, the whole transaction was very professionally done. And after a short delay, I was on my way --with a free battery replacement. Why? Because they told me that my old, defunct battery was not up to their standards. The conventional wisdom is that global warming is being caused mostly by the developed world (the "North"). It therefore falls on the North, from both a moral and a practical standpoint, to take the major action needed to slow global warming. According to this view, developing countries (the "South") should be allowed to sharply increase their own emissions because they need to grow economically to reduce poverty. This view is wrong, according to a new paper by David Wheeler and Kevin Ummel of the Center for Global Development. Wheeler and Ummel show that the South already account for 40% of carbon in the atmosphere, and that the South already produces more new carbon emissions each year than the North. By about 2030, the total cumulative carbon emitted by the South will exceed that of the North. Wheeler and Ummel find that even if the North sharply reduces or even stops its carbon emissions, the emissions produced by the South alone will cause catastrophic climate change. This means that it is in the South's own interests to immediately begin reducing its own carbon emissions. This finding, if confirmed, is a game changer. The South is no longer simply a victim that needs help adjusting to the climate changes wrought by the North (though it will still need that). Instead, the South must take an active role along the North in reducing emissions - and if it fails to do so, we are all sunk. This presents a new challenge for foreign aid and philanthropy in the coming period. 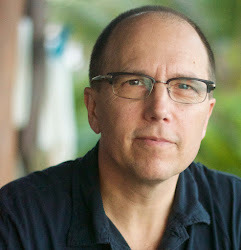 A recent article by James Suroweicki in the New Yorker argues that micro-finance has become over-hyped. Suroweicki concludes that micro-finance is not the binding constraint because it does not create new jobs. Instead, developing countries need more small and medium-scale enterprises (SMEs), which are the source of most job creation in the developed economy. So we should focus on SMEs instead. After working in the international development field for over twenty years, I can tell you I have heard this argument many, many times before. Not the specific content of the argument, mind you, but the structure of the argument. When I began my first job at USAID in Manila in 1984, SMEs were a big part of the aid program, and John, the head of the SME department, wanted even more resources. "SMEs create jobs, and jobs create wealth - can't you guys understand that?" I remember him yelling during a strategy meeting. The only problem was that his program was not particularly effective. He was spending tens of millions of dollars, but it turned out that creating small enterprises was a lot harder than people thought. My experience at USAID was a harbinger of things to come in my subsequent fourteen years at the World Bank, working in countries such as Niger, Indonesia, and even Russia. A small group of people would do an analysis that showed that "X" was the key to growth and development, and that without major investment in "X" the country would stagnate. ["X" might be health, education, transportation, integrated rural development, water, or financial sector development, including micro-credit.] Then, voila, the aid program would be adjusted to spend far more money and expertise on "X". After a few years (usually about three) it became clear that programs focusing on "X" were not a panacea. Most often, the aid programs did not produce a whole lot of "X." Sometimes the programs succeeded, but alas, more X did not seem to have the expected effect. In any case, there would then be more studies and a big strategy session, and we would conclude that now the country desperately needed "Y" to develop. The cycle started again. After many cycles of this, two things became clear to me. First, there is no single "X" that will lead to economic development. Countries instead need some combination of A,B,C and X, Y, Z. And the needed combination of those things is not static- it changes over time. Second, individual experts, and even organizations staffed by experts are unable to guess (much less promote) the right combination of A,B, C, X, Y, and Z that a country needs at any given time. Expert-driven mechanisms lack the information and feedback loops needed - and they also lack the bandwidth. I had really smart colleagues in the World Bank, and I can tell you we worked very, very hard. But in the end there were only 24 hours in the day and our heads often felt like they would explode if we try to absorb more information or do more analysis. Here is the conclusion I drew from my experience: only well functioning markets can make the right decisions about the allocation of resources that will lead to growth. And by markets, I don't mean only financial markets, though they are important, or markets in physical goods. I also mean political markets, where regular citizens' voices are heard (democracy is a political market). And well functioning educational markets allow students to pursue their interests and gain the knowledge and skills needed to get productive jobs. The list of markets goes on. Markets serve the critical function of allowing people to express the many different things they need and want. And then they allow other people, companies, organizations, and even government agencies to hear those needs and try to satisfy them. Markets are not a panacea. They often don't function well and sometimes they misallocate resources and have booms and busts. But we simply have not discovered any other system that works better. Sometimes people ask me what I think the highest impact projects on GlobalGiving are. Health projects? Education projects? Micro-credit? Small business and job creation? I tell them that there is no answer to that question. Whether a project is good depends on whether individual people or their community representatives say they need it, and whether they can raise the sources needed to implement it. Find a project that resonates with you, I tell my friends, and just jump in. See two earlier posts related to aid markets and microfinance here and here. "I am wondering whether you would consider adding BRAC projects to GlobalGiving?" Would we?! We would love to. That is what I told my friend Susan Davis on the phone a couple of months ago. She was calling to say that she was helping BRAC launch an enhanced US presence.I get a lot of calls like this, but few that make me so happy. In my view, BRAC is one of the absolute best community-based NGOs operating in the world today. Founded in Bangladesh 1972, BRAC has helped millions of people better their lives through training, education, health programs, and job creation. They have recently expanded their programs to Afghanistan, Sri Lanka, Pakistan, Tanzania, Uganda and Southern Sudan. I like BRAC's programs and impact, but I also like its high "impact-to-ego ratio." The organization's DNA comes from its founder, Fazle Abed. His exceptional competence is matched only by his modesty and quiet sense of humor. 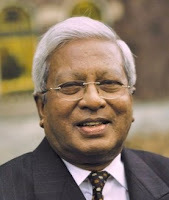 No grandstanding or flashy speeches with Fazle Abed - just quiet action, on a large scale, with a smile. BRAC has two projects in Sudan listed on GlobalGiving. Check out this one: you can fund a child's entire education for a year for only $100. And what's best is that you know BRAC will be there to oversee the education and other services the child needs to grow up to be healthy, happy, and prosperous.